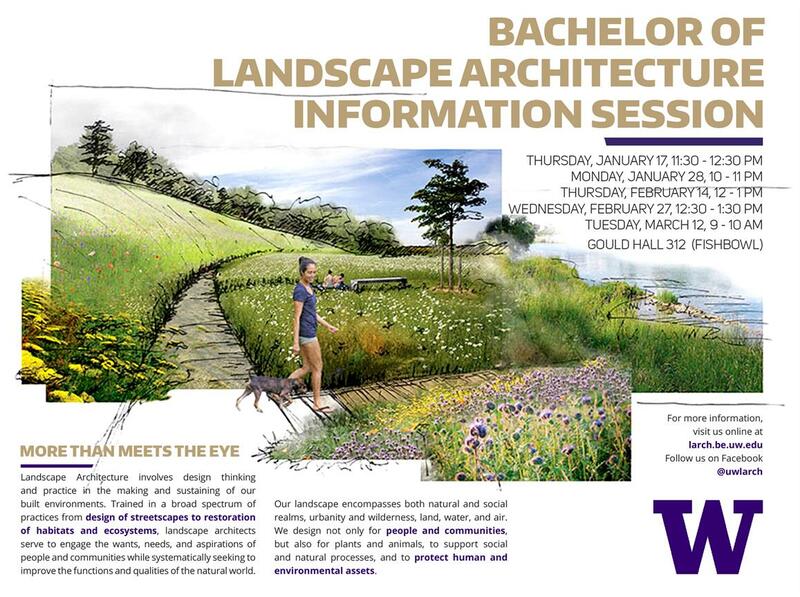 Thursday, Feb 14, 2019, 12 – 1 p.m.
Landscape Architecture involves design thinking and practice in the making and sustaining of our built environments. It serves to engage the wants, needs, and aspirations of people and communities while systematically seeking to improve the functions and qualities of the natural world. It encompasses a broad spectrum of practices from design of streetscapes to restoration of habitats and ecosystems. Landscape architects are, in a sense, architects of the landscape–the landscape that encompasses both natural and social realms, urbanity and wilderness, land, water and air. They design not only for people and communities, but for plants and animals, to support social and natural processes, and to protect human and environmental assets.